Bish Bates partners with leadership teams at each of his client organizations to help them ensure not only a successful implementation, but long-term success and enduring culture change. Bish’s funny, engaging personality and inspirational style enable him to facilitate Language of Caring skill-building programs in ways that resonate and stick with each attendee. 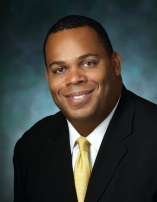 Bish is currently the Assistant Director of East Baltimore Medical Center with Johns Hopkins Community Physicians. He has held leadership roles within Johns Hopkins Medicine that span both inpatient and outpatient medicine ranging from physician groups to multi-specialty medical centers. Bish has been a featured speaker on the national level on the topics of healthcare leadership and peer management. He also has particular expertise in leadership, process improvement and training and development. Bish received his B.S. in Business Administration and his M.S. in Healthcare Administration from the University of Maryland University College. He was elected Senior Fellow of the Society of Hospital Medicine in 2015 and now serves on the Society’s Patient Experience Task Force.